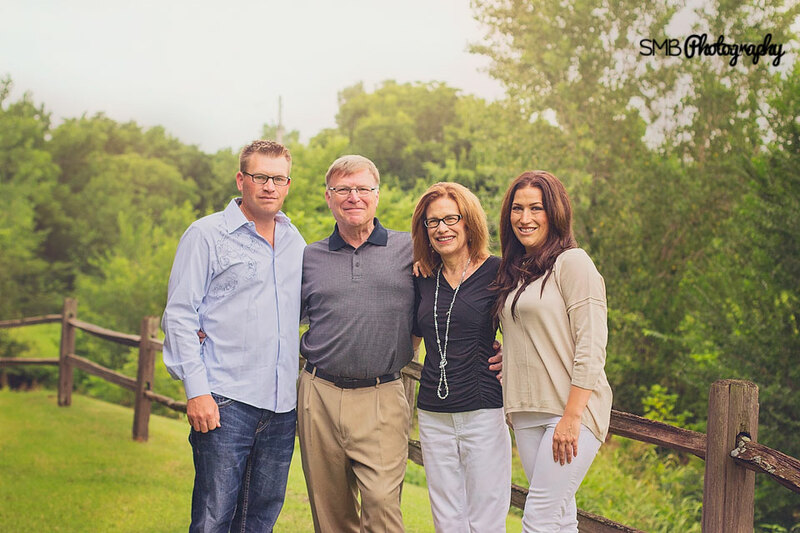 This was such a fun and meaningful family portrait session! They live all across the country so getting together for family photographs is difficult. Their session was full of laughter and love, and I was so happy to capture these memories for them! Huge Congratulations to Mom and Dad who are celebrating their 39th Wedding Anniversary! We had so much fun at this family portrait session. We met at Sorghum Mill Tree Farm and just wandered the grounds. If you're looking to pick out a Christmas tree or pick berries, it's your place! Big Thank You to the Cox family for letting me capture their beautiful family! Contact me to book your Family Portraits! After meeting and photographing my clients, which is an absolute blast, my second favorite part of photographing your family is editing. When I'm photographing, I'm shooting for the final image. I have a good idea in my mind of what I want, and what the images will look like. However, an image really comes to life in Photoshop. Editing is where the magic happens. Whatever image. I had in mind when I clicked the shutter, is brought to life in Photoshop. A good camera alone is not enough to make an amazing portrait. I spend between 15-20 hours on each and every client that comes to me. The largest amount of that time is spent in Photoshop. Don't get me wrong, an image needs to be good Straight Out Of Camera (SOOC), but editing can take a good photograph. and make it a great photograph. If you'd like to Book your own portrait session, Contact Me! Having your family photographed can be overwhelming, and I find that the best way to help ease client concerns and fears is good communication. The more that my photography clients know what to expect and how everything works the better the experience is for everyone. I want my clients to have fun, make memories and have beautiful images of their families. All of my photo sessions take place on-location, all around the Oklahoma City Metro. I have a list of locations that I love to photograph at, but if you have somewhere in mind, please let me know. I want your portraits to reflect you and your family. The best time of day for photography is late afternoon/early evening. This is commonly referred to as The Golden Hour. If you think of the beautiful colors in the sky in the early evening, and the gorgeous golden tones, this is what we’re after. The lighting is beautiful and colorful, and it also prevents harsh shadows that are created in midday. I arrive on-location prior to our scheduled time. I like to take a look around and plan out where we’re going to be photographing. I also get set-up and take a look at the different lighting. Our session starts promptly at the scheduled time. 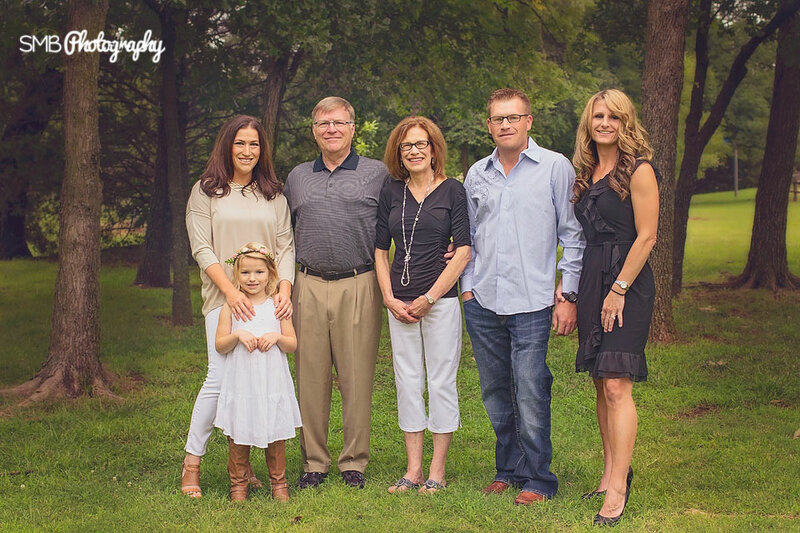 At family portrait sessions, you can expect for us to photograph your family as a whole, and capture images of the individual relationships; Mom and Dad, Dad and children, Mom and children, etc. We’ll start with the more posed shots, and move on to more relaxed and natural shots. We’ll also move around at our location and get a variety of surroundings. If I’m photographing your children, my aim is to get them to be themselves. I want to capture their genuine personality. In order to do that, I may take them a short distance away from Mom and Dad, and interact with them one on one. I find that most children have an easier time warming up to me and the camera, when they don’t feel like their being watched. If your little one is having a bad day, or not feeling well, please let me know. I’m happy to reschedule if the need arises. 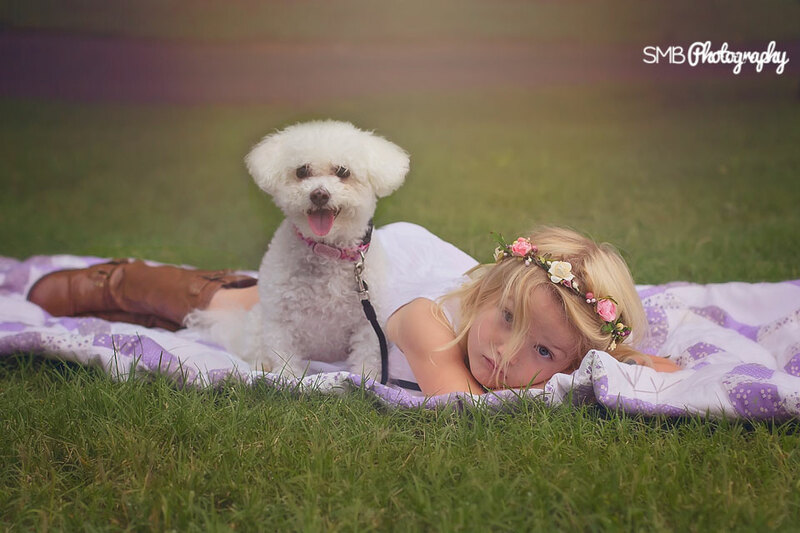 Once we’ve wrapped up our portrait session, I’ll get to work editing your photographs. Make sure to like SMB Photography on Facebook, I usually post a Sneak Peak. It typically takes about a week to get them all edited and uploaded to your Gallery. As soon as your Gallery is ready, I’ll e-mail you a link and password to access it. Your Gallery will be available for viewing and ordering for 7 days. If you have any questions that I didn’t answer, or are ready to book your session, please feel free to Contact Me. Like this post? Subscribe to our Newsletter! Clothing idea's, photography tips, and more.